Located in the Dilworth district just south of uptown Charlotte, Pearl Street Park is known as the first African American public park built in the City. Today, the park finds itself surrounded by redevelopment projects such as the Metropolitan, Midtown Terraces and East Morehead Apartments, all catalyzed by the Little Sugar Creek Greenway. As redevelopment continues to encroach on the historic park, the McAdams team was commissioned to provide master planning services to re-activate park and respond to shifting demographics and land uses towards mixed-use, office, retail and upscale multi-family residences. The master plan design must consider infrastructure improvements such as portions of a new roadway extending Pearl Parkway. Given the park’s historic significance, the team worked to preserve the park’s stories while accommodating new users and recreation trends. 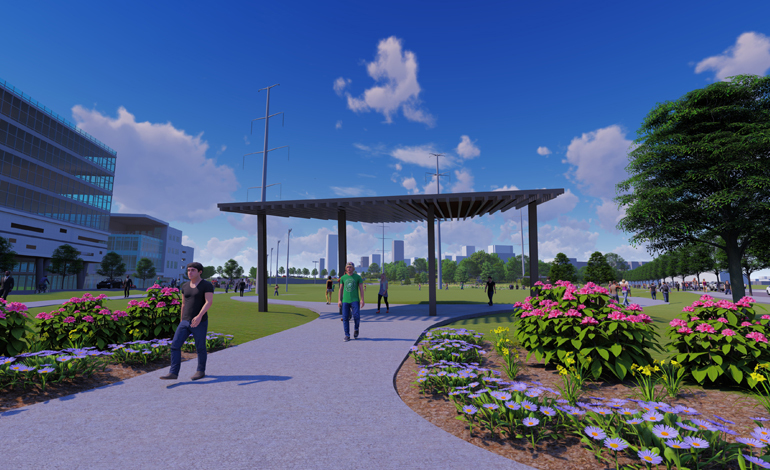 The park’s redesign includes reconfigured multipurpose fields, sports courts, urban plaza areas, a small comfort station / building, inclusive playground and walking paths. The team’s multidisciplinary approach enabled innovative design solutions that considered numerous site complexities such as two major powerline easements, utility easements, floodplain, Post Construction Stormwater Ordinance (PCSO) restrictions, new roadway right-of-way and several deed restrictions. One of the most innovative outcomes of the proposed park improvements is daylighting of an old stream. 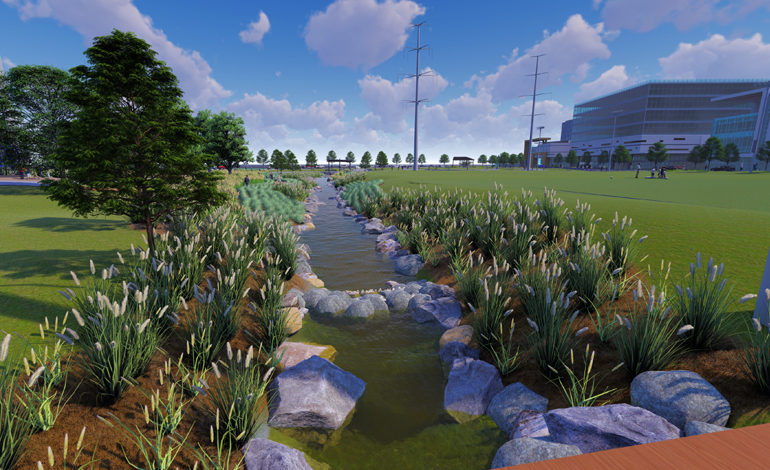 The design of a nested floodplain will help alleviate downstream flooding, an increasing threat as development continues. Once seen as a feature to be piped and dismissed, the newly established stream alignment and stream restoration features will restore ecological function while providing opportunities for visitors to engage with nature.